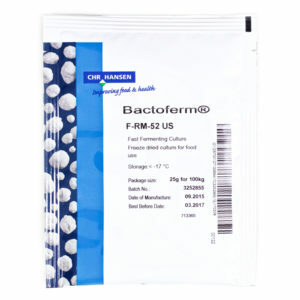 Bactoferm™ F-LC is a patented culture blend capable of acidification as well as preventing growth of Listeria. 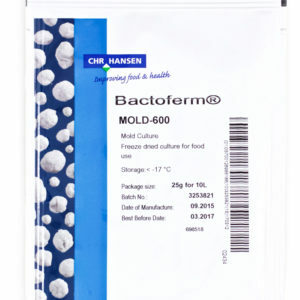 The culture produces pediocin and bavaricin (think of them like a kind of “antibiotics”) that keeps Listeria monocytogenes at safe levels by the additional hurdle thrown at it. 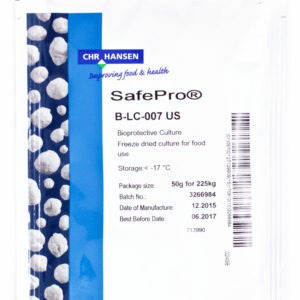 Low fermentation temperature (<25º C, 77º F) results in a traditional acidification profile whereas high fermentation temperature (35-45º C, 95-115º F) gives a US style product (from Hansen). 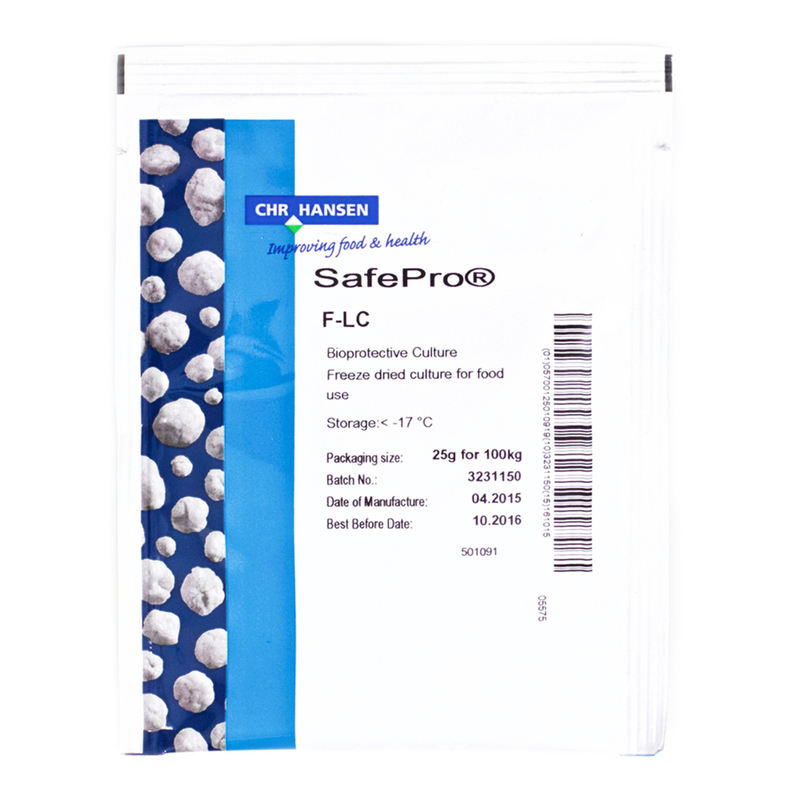 We do not recommend using F-LC as for low temperature fermentation, but rather for those people that what the added Listeria protection at higher fermentation temperatures making more American style fermented sausages. We recommend the use of B-LC-007 for low temperature fermentation (64ºF-75ºF) for the production of more authentically profiled European fermented sausages. 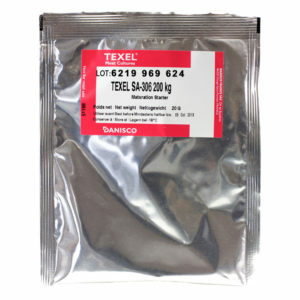 Sold in a 25g bag which is enough to ferment 220# of meat. Use 0.025% the weight of the meat. Meaning, measure your meat in grams, then multiply the weight of your meat by 0.00025. This number is the proper amount of culture to add to you meat.